Aiming to be a science and engineering graduate school that shines on the world stage, producing individuals who spread their wings worldwide. The main goal of all of Waseda University’s educational and research activities and outcomes is to contribute to building a better world. In recent years, as the international labor market becomes increasingly fluid in the fields of science and technology, globally oriented R&D and education at universities are being put to the test. The Graduate School of Information, Production and Systems (IPS) is a science and engineering graduate school established in Kitakyushu in 2003. For nearly 100 years Kitakyushu has played a part in the industrial development of Japan with a focus on materials production; and the city’s unbroken tradition of craftsmanship and manufacturing can still be seen today across a wide range of industries including automotive, robotics, and environmental business. Since its founding, IPS has fostered a stimulating research and educational environment in which students from around the world collaborate with a faculty with diverse backgrounds in this city where the tradition of craftsmanship and manufacturing lives on, with the aim of developing individuals through educational programs that integrate the latest sophisticated and specialized knowledge. The IPS campus is located in Kitakyushu Science and Research Park and features joint use facilities and a system for conducting R&D in partnership with companies. 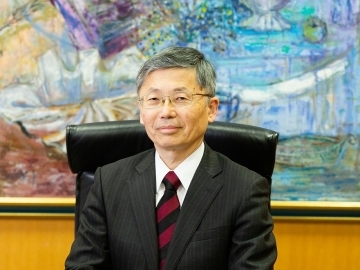 Since Waseda University was established, part of its mission has been to pledge to “contribute to the progress of the times by establishing a path for the practical use of scholarship as well as pursuing theoretical research for its own sake.” True to that mission, the university has deepened its partnership with industry and focused efforts on R&D for practical application. So far more than 3,000 graduate students have studied at IPS, many of whom have gone on to successful careers at manufacturers, research institutes, and universities. IPS will continue working to increase its presence in the world as a center for open education and research in Asia, and to produce global leaders with global mindsets, broad knowledge, and abundant creativity in Kitakyushu.